Extremely spacious room with private parking just outside your room’s door, granting you easy access to your car at a moment’s notice. Meticulous décor combining the warmth of wood with smooth cream and intense black colours. 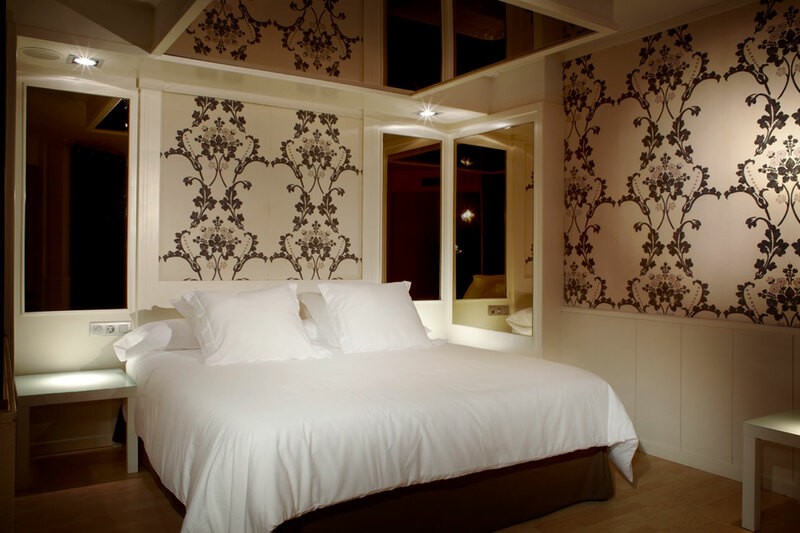 Walls decorated with floral motifs and a mirror on the ceiling. Elevated bathing area with a jacuzzi for two with a glass wall that creates a visually open space; twin sinks, with separate toilet and bidet. Super king-size bed, entrance with vestibule, wardrobe, small sitting area with sofa, parquet flooring… Amenities: Television with adult channels, sensual music, dimmable lights, climate control, wifi and 24-hour room service. Don’t sleep on it first – jump into the jacuzzi!